Czernobog is a bloodthirsty Slavic God who used to take pride and pleasure in all things evil, just what role does this now beaten-down God play in 'American Gods'? 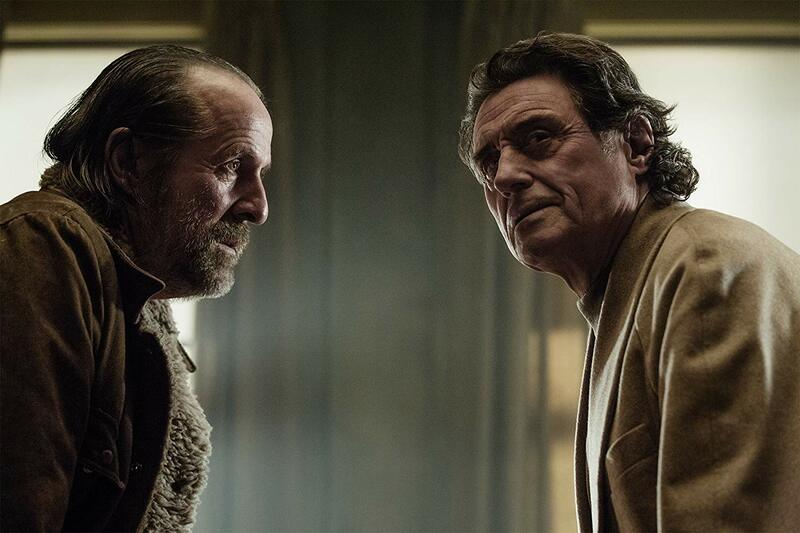 'American Gods' has introduced many strange Gods over the course of the first season, and you'd think Czernobog would be the first person to jump in on the action, but instead, we see him flip-flopping in his decisions to join the war between the Old Gods and the New. Czernobog is a Slavic deity whose name means "Black God", and in Slavic tradition, though there is a lot of speculation about who this God is, one thing is for sure, he just loves getting blood on his hands. The Slavic God makes his first appearance in episode 2 of season 1, where our supposed protagonists, Shadow and Mr. Wednesday, meet a run-down old Eastern-European immigrant, by the name of Czernobog, who's really not too happy to see Mr. Wednesday aka Odin in person. They are also begrudgingly welcomed by three Slavic Goddesses who have taken up room with Czernobog, in order to make ends meet in the city (yes, Gods pay rent too). Czernobog and Odin in 'American Gods'. 'American Gods' is not the first to show this evil, demon-like god, far from it. Besides the Neil Gaiman book the Starz series is based on, his most memorable appearance is Disney's interpretation of him as Chernabog in 'Fantasia'. He's the embodiment of evil and is portrayed as a winged demon who has the ability to raise spirits from the dead in the Disney Masterpiece. 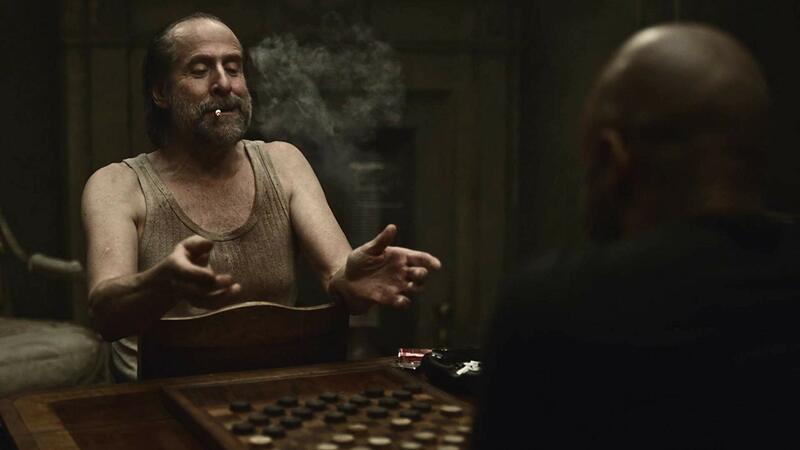 Peter Stormare as Czernobog in 'American Gods'. 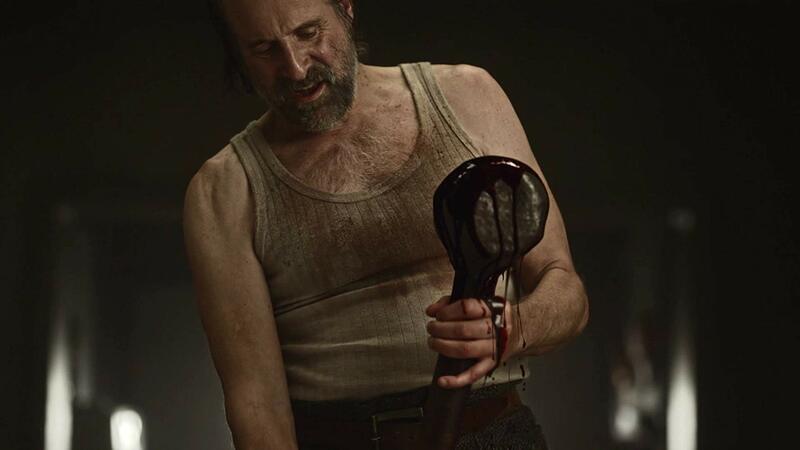 Czernobog in 'American Gods' has taken up work as a "knocker" (a person who delivers the killing blow to cattle in a slaughterhouse) in order to sate his blood lust and his love for death. But work at the slaughterhouse has seen this God become just a shell of what he was, and with human beings taking the Old Gods for granted, Czernobog has to work for man in order to make his daily bread. We may see Czernobog in the second season, changing form and turning into Bielebog, as goes the tradition. Bielebog is the polar opposite of Czernobog and the polar opposite in every way. While Czernobog refers to Bielebog as his brother in the episode, he just may be referring to the side of himself who's lost touch with the "good" within himself, and his dual nature is shown in the series when he spares Shadow's life during the first game of checkers (Czernobog said he would kill Shadow if he won, but gave him another chance). For being a "Black God", Czernobog did show us he does possess some form of empathy, and this empathy may see him becoming his good-natured self in season 2. 'American Gods' season 2 will be available on the Starz network, and you can view their season 2 trailer below.